How can digitally produced sound and visuals create new performance conditions for ancient poetry and drama? I’ve been experimenting with cross-media poetry for a few years now. I began when I was studying for a Masters in professional writing at the London Metropolitan University and continued through my time researching the Romantic reception of ancient poetry for the Open and Oxford Universities. In 2011 , I wrote a play, Seneca’s Medea, which was performed in February that year at the Burton Taylor Studio in Oxford. An extract from it won a prize in the open section of the Times Stephen Spender Prize for Poetry in Translation. Prometheus Chained, my new version of Aeschylus’ Prometheus Bound, was performed this June in an amphitheatre in Sheffield as part of Sheffest, the city’s festival of ancient drama. Both plays were directed by Helen Slaney and enhanced by powerful scores by Jef Oswald. The second is “Attis”, an AV translation of the Roman poet Catullus’ 63rd poem. It tells the story of a Greek-ish Roman youth who runs away from home to join the cult of the fearsome mother goddess, Cybele. In a frenzy (and as part of his initiation into that cult), he castrates himself. In the Latin text, this act changes Attis (grammatically) from male to female. I have kept this feature, however foreign it might now feel. The video and sound provide the performance context for the live show in which I perform the poem and are not really designed to stand alone. But this version has a rough recording of the vocal on it to give an idea of the live performance. The poem kicks in at around the three-minute mark. It takes a little while for Attis to make it to Phrygia . . .
“We’re All Alone” was a standard almost the minute that Boz Scaggs finished writing it. Released on his masterwork, Silk Degrees, in 1976, within a year it had been covered by Frankie Valli, Bruce Murray, Rita Coolidge, the Three Degrees and the Walker Brothers. It’s been covered plenty more times since. 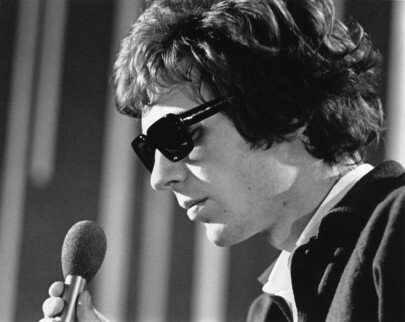 It’s easy to see what would attract a singer to such a song, but Scott Walker is no ordinary singer and in light of his work since “The Electrician” remade his career in 1978, one does have to wonder whether he sang the song with his arm twisted behind his back. Nonetheless the Walkers’ version is one of the most appealing, the track mixed drier and closer than the cavernous Scaggs version, Scott’s vocal managing to combine the warmth that Coolidge’s alto brought to the song with some of the soaring lightness of Boz’s performance. Such AOR covers are not what Scott Walker is known for today. To the extent that he is known at all, it’s for his quartet of solo albums from the late 1960s Scotts – 1 through 4 – and the three arty, avant-rock albums he’s made since the Walkers broke up for the second time, a sound that was previewed on his contributions (including “The Electrician”) to the last Walker Brothers record, Nite Flights. These records are apt to leave reviewers groping for superlatives. Or scratching their heads. Like many others, I often feel humbled in the presence of latter-day Scott Walker. His work is clearly that of a rare imagination and aesthetic sensibility. He creates music that wouldn’t occur to most people and his sonic curiosity is obvious. Yet while prettiness and beauty are not the same thing, they’re not mutually exclusive either and since his music began moving away from conventional tonality, melody and rhythm in the 1990s, Walker has limited his scope as a songwriter. For him to present straightforward expressions of everyday feelings like love, hope or empathy in the declamatory, highly theatrical voice he has sung in since Tilt would be ridiculous; he knows it, so he doesn’t. But people (myself included) like music that expresses of love, hope and empathy. Walker’s writing is now so ornate, so stagey (“Samuel Beckett at La Scala”, as one critic described it), that it can no longer be a vehicle for reflection on the small moments in life, the minor disappointments and simple consolations. Death, disease, pestilence, terrorism – these are the subjects he’s left himself. And while that is radical subject matter within popular music (at least, outside of thrash and death metal), surely what would be truly radical would be a sensibility that allowed for both “The Cockfighter” and covers of “We’re All Alone”, that treated both the same? I’m not being conservative here; I’m not arguing that he should stop recording the sound of himself punching dead animal carcasses. Tilt and The Drift are excellent records. But his first producer, John Franz, was right when he judged Walker one of the great ballad singers and it’s a shame that we no longer get to hear him do something he was so good at. Yet Walker is on his own little-travelled path – from teen idol to intrepid adventurer in form and sound – and it’s reassuring to know that such journeys can be made by anyone, wherever they start from. I’m looking forward to hearing the found-sound records that Justin Bieber will no doubt be making in 2050. 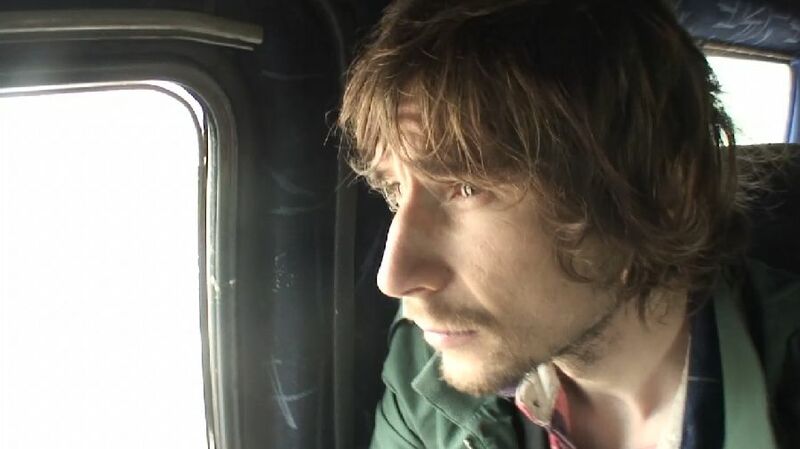 On the face of it, Rob Dumas’s debut documentary, The Nonsense Express, tackles a familiar subject: a band struggles for recognition on an ambitious tour; its members heave equipment and hangovers across indifferent cities; they play to non-existent dive-bar crowds; cancellations lead to huffy, inter-band stand-offs; bouts of de rigueur alcoholic revelry are had. But lugging along on a tour of the homeland on the public transport systems of eastern Europe with the London-based Belarusian Sasha Ilyukevich and his band, the Highly Skilled Migrants, is a lot of fun. A feeling of intimacy is evoked by the director’s warm-hearted voice-over – Dumas was, after all, along for the ride – as the band suffers one amusing let-down after another. Then, after all that, something quite unexpected and beautiful occurs. The cornerstone of the film is the gently vexatious relationship between Sasha and his bassist, Ned. Sasha, the unquenchable romantic optimist, has self-organised the tour at long distance. Nothing can go wrong: the word is out, the people there will understand his Cyrillic lyrics. 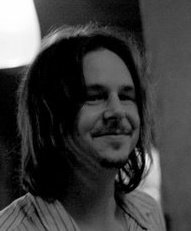 Ned – witty, aware, with lank, rock-band hair – wants to believe that this could be big or, at least, legendary. But mild paranoia kicks in when Ned’s double bass is destroyed en route to Russia. Despite Sasha’s assurances, the gigs turn out to be deserted. Ned’s early attempts at worrying his comrades to success give way to ever more mordant asides to camera and an endearingly crazed resignation. Things go so badly that this could all have fallen easily into a clichéd pit of meaningless rancour or, one suspects, have been a preamble to a cheesy breakthrough. But as the band’s imagined path to success leads to one dead end after another, there is a sense of release and serenity, the letting go of unanswered prayers. A pivotal scene finds the Highly Skilled Migrants brought low by disappointment, having too hastily cancelled an appearance at a music festival near Moscow – and later watching in silent horror a TV broadcast of the thousands of intense fans they could have been performing for. Shaken, Sasha takes the band to visit his mother in Belarus. As ever making the most of any situation, he arranges one last gig in his home town with a guaranteed turnout. The audience is captive – the venue is a psychiatric institution. This could have been played as a final ironic laugh at ill-fated plans, a last humiliation after all the disappointment. But instead – though sad in retrospect – the episode is a delicate, moving contemplation on what it is to have forms of freedom and enjoyment decided by others. The “us” of a band in a self-obsessed industry turns into the “we” of solidarity with others. Any documentary is to an extent at the mercy of events and relies on the actions and intentions of its protagonists. Sasha’s last, apparently desperate move conceals a generosity to others that later the Belarusian government routinely oppresses. But the film-maker also has to take advantage of whatever situation arises and Dumas has shown he is one to watch, both now and in the future. The Nonsense Express is currently screening at festivals and in pop-up events.